Hello ... Hello ... my old friends ... It's great to see you once again! 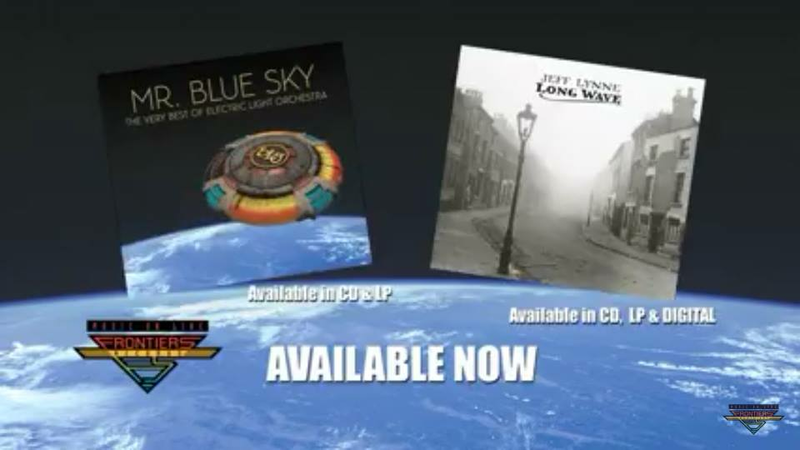 As you can see below, Frontiers Records have posted a 31 second promotional advert for both "Mr. Blue Sky: The Very Best of Electric Light Orchestra" and "Long Wave" over on their YouTube channel. Enjoy! ELO Beatles Forever [ELOBF] recommends "Mr. Blue Sky: The Very Best of Electric Light Orchestra" and "Long Wave" by Jeff Lynne to those enlightened folks who enjoy the music of ELO, Jeff Lynne, Roy Wood, The Move, The Idle Race, 'Brum Beat', The Beatles and related artistes.